Your PC has just crashed and you have no idea why. If you contact a helpline, you will more than likely be told to reload your Operating System. This works in the majority of cases. What they often don't tell you is that by reloading your Operating System you will need to reload all your programs and other devices such as printers, scanners, digital cameras, etc. But worst of all your data would have been erased. 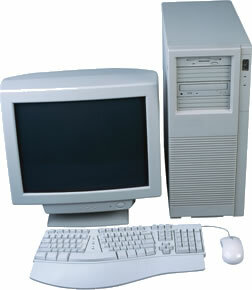 PCs can often be repaired quickly and economically without a complete rebuild. Most home users don't take regular backups of their system, so before we work on any PC we always take a full backup. 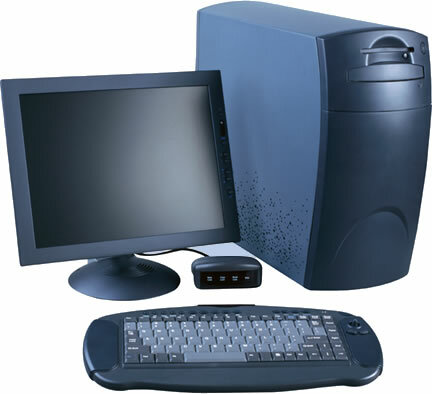 We also provide documentation on how to backup your PC, as your data is more important than the PC itself. We can replace any of these in a standard desktop PC. If your hard drive has failed, without a backup then your data can not be restored. How long will it take to repair my PC? Depending on what has gone wrong, it can be a quick as an hour. However if it's a hard drive or motherboard failure then this will take significantly longer. Windows XP - Fairly reliable on its third release, industry standard still used today in most companies. Windows 7 - One of the best Operating Systems Microsoft have designed. Windows 8 - Microsoft's latest operating system requires latest spec PC's. Designed for touch screens. Totally new design unlike any other. Software faults can be very complicated and therefore take much longer to fix. This is probably the area that home users know least about. Virus's can affect your PC in different ways, from wiping to theft of your data. It's therefore important to have anti-virus software installed on your PC. This also needs to be kept up to date as new viruses are found weekly if not daily. If you don't have any anti-virus software loaded contact us and we can install one and conduct a complete scan for you.